Selected presentations "Planet Formation and Evolution 2012"
I am a Professor for Astronomy at the Observatory of the Ludwig-Maximilians-Universität Munich, where I lead the Young Stars & Star Formation Group since October 2008. I observe Young Stellar Objects (YSOs) with infrared and X-ray observations, in order to investigate the stellar populations and star formation histories of young clusters and OB associations. I also study the feedback effects of massive stars on the surrounding clouds, and investigate the consequences of this stellar feedback (i.e. 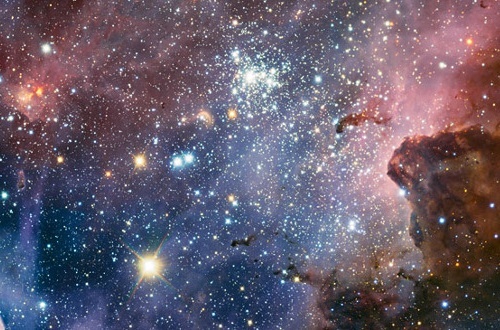 cloud dispersal and triggering of star formation) in various star forming regions, in particular the Carina Nebula and the Scorpius-Centuarus OB association. I have been principal investigator of numerous projects using the X-ray satellites ROSAT, Chandra, and XMM, the far-infrared satellite Herschel, a visiting astronomer at the Calar Alto Observatory and the Anglo-Australian Observatory, and am principal investigator of numerous observing projects using the ESO Very Large Telescope (VLT), the ESO VLTI, and the APEX sub-mm telescope. I am currently involved in the DFG Research Unit FOR 2634/1 Planet Formation Witnesses and Probes: TRANSITION DISKS , where we study the influence of the strong X-ray emission from young stars on the evolution of their circumstellar accretion disk. From the year 2010 until 2014 I served as the German Representative in the ESO Users Committee. From 2007 to 2010 I was involved in the sub-project "The birth and influence of massive stars" in the EU FP6 Marie Curie Research Training Network "CONSTELLATION: The origin of the IMF". The following images illustrate some important aspects of my recent research. 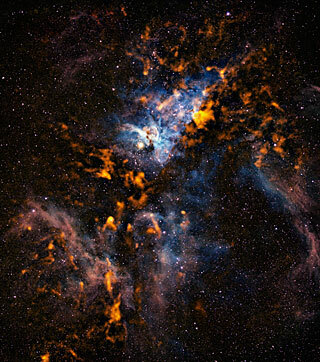 The largest current project in this context is my multi-wavelength investigation of the Carina Nebula. The April 2013 issue of the Star Formation Newsletter contains an article in which I described the background of this project. Further information can be found at my Carina project page. I also lead a long-term project to explore the full stellar population of the Upper Scorpius OB Association, the most nearby region of recent massive star formation. 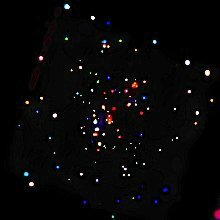 Following large multi-object spectroscopic surveys to identify a representative sample of low-mass members, our studies of the mass function and the age distribution of the members allowed a rather detailed reconstruction of the star formation process of this association. The results suggest that the star formation process in Upper Sco was triggered, most likely by the shock-wave of an expanding supernova- and wind-driven superbubble from the nearby Upper Centaurus Lupus association. In a new project (funded in the context of the DFG Priority Program 1573: Physics of the Interstellar Medium) we study the interaction of the winds and ionizing radiation of the massive stars with the surrounding interstellar medium in detail. 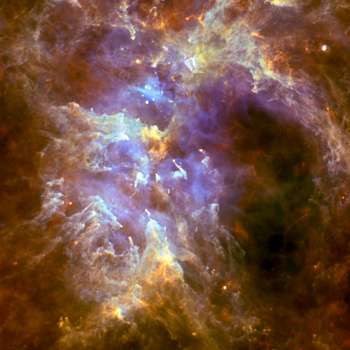 Young stars generally show very strong X-ray emission. A good knowledge of the X-ray properties of YSOs is of paramount importance not only for the understanding of the physical mechanisms that lead to the X-ray emission and their relation to the magnetic activity; the X-ray irradiation of protoplanetary disks has also far-reaching implications for the formation of planetary systems, and the evolution of protoplanetary atmospheres. Furthermore, since X-ray radiation is much less affected by extinction than optical light, X-ray observations can penetrate though extinctions of up to AV ~ 500 mag into dark clouds and allow a deep look at embedded YSOs. 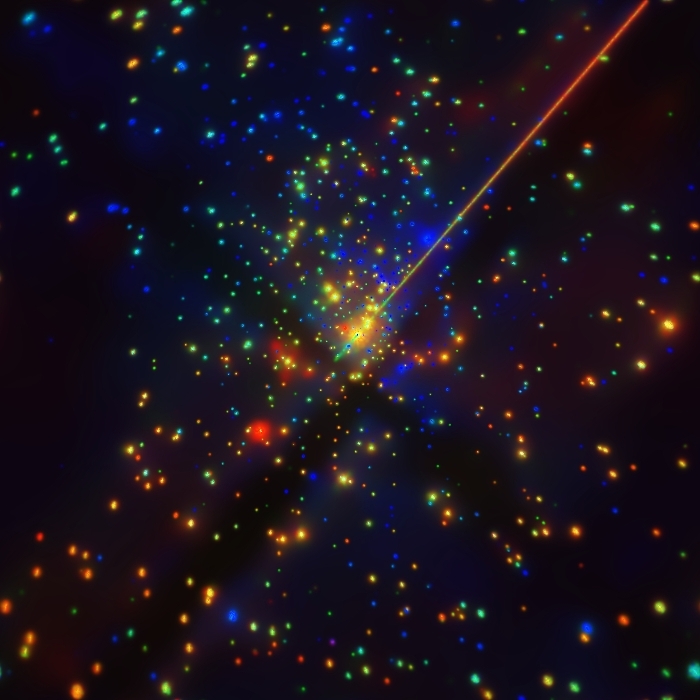 Since X-ray activity is particularly effective in discriminating YSOs from unrelated fore- and background field stars, X-ray studies are also a very important tool for the investigation of the stellar populations of star-forming regions. I have performed numerous X-ray observations of young stellar clusters (in particular IC 348, NGC 1333, and the Serpens dark cloud) and investigated the flares and X-ray spectra of YSOs. I have been deeply involved in the Chandra Orion Ultradeep Project (COUP), a unique 10-day long observation of the Orion Nebula Cluster, that provided the most comprehensive dataset ever acquired on the X-ray emission of young stars. 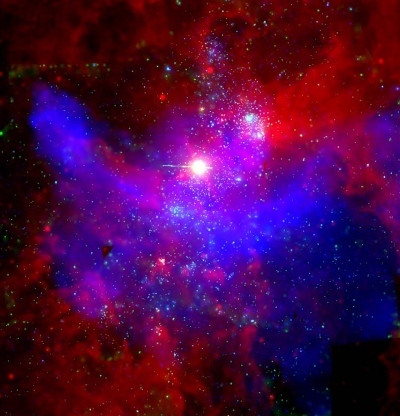 A recent large X-ray project where I am deeply involved is the Chandra Carina Complex Project. Together with Maria Massi I organized the conference "Coronae of Stars and Accretion Disks" that was held at the Bonn in December 2006. Relevant publications: A3, B83, B82, B80, B77, B76, B75, B74, B73, B72, B69, B63, B60, B59, B53, B51, B50, B49, B48, B47, B46, B42, B40, B36, B33, B32, B27, B24, B17, B15, B14, B13, B11, B10, B8, B7, B6, B3, B2; several presentations are also available. The following links lead to a (recently updated) collection of some of my X-ray images and infrared images of star forming regions. 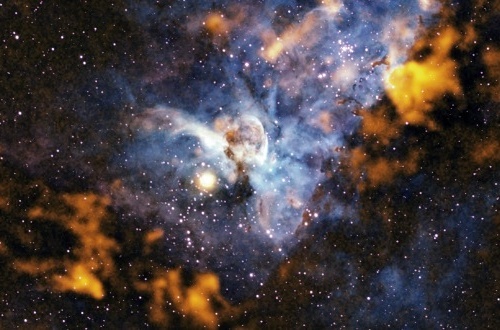 A growing number of new X-ray, infrared, and sub-mm images of the Carina Nebula Complex is available since March 2011 on the webpage describing our Carina Multiwavelength Project.